There you go. 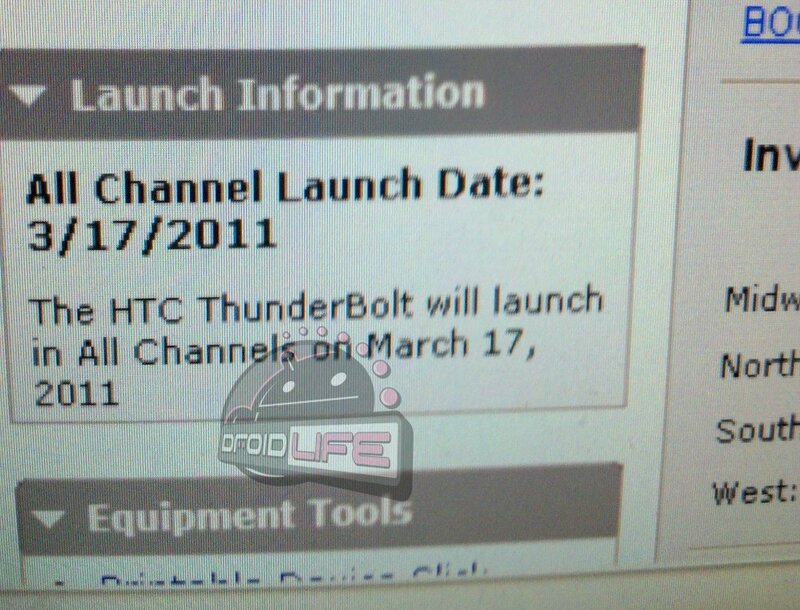 March 17th is indeed the day for the HTC Thunderbolt. It’s a date we’ve known about for a few weeks now, but just needed to see something semi-official. Everyone in Verizon knows it, there are trainings scheduled for today, so now we just sit and wait for the press release to come out.